Adobe MAX 2018 is nearly here. At this annual gathering of over 12,000 graphic, web and multi-disciplinary designers, art directors, film, video and motion graphics pros and photographers, inspiration is very much the name of the game. Leading creative conference Adobe MAX offers over 300 sessions, labs and creativity workshops taught by industry leaders to help ignite your imagination and grow your career. This is a place where you can learn about industry trends, see new products and technology in action and kickstart your creativity all under one roof. When and where is Adobe Max 2018? 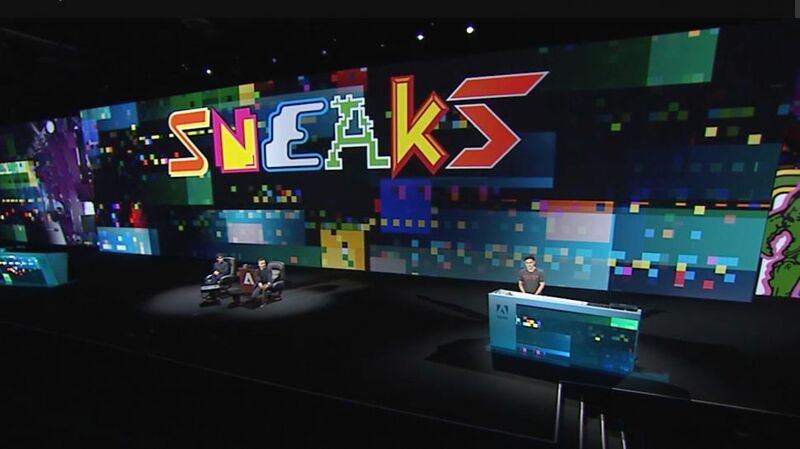 This year&apos;s Adobe MAX is being held at the Los Angeles Convention Centre from the 15-17 October. If you can make it, we&apos;ll see you in (hopefully) sunny LA. But if you&apos;re not able to get to the Southern California city, never fear, you can still join in the action via Adobe&apos;s live stream. And action aplenty is pretty much guaranteed. Adobe always pulls out all the stops for its annual conference, and Adobe MAX 2018 is no exception. Among the keynote speakers you&apos;ll find legendary producer and director Ron Howard, DJ and musician Questlove, comic book artist Nicola Scott, YouTuber Lilly Singh, and photographer Albert Watson. Adobe MAX attendees will also be invited to witness all the latest and greatest updates to Adobe&apos;s Creative Cloud suite, as well as learn some techniques to create amazing content. The learning sessions range from lectures to hands-on demonstrations in everything from photography and videography to prototyping and character design – there really is something for everyone! For the past few weeks, Adobe has teased with a number of sneak previews of the updates made to some of its most popular creative apps. These included details of a supercharged Content-Aware Fill tool in Photoshop and an exciting new toolbar feature in Illustrator. These are no doubt the tip of the iceberg, with Adobe sure to wow audiences at Adobe MAX 2018 with even more handy new features and updates to help creatives realise their full artistic potential. While we currently don&apos;t know what these might be, we&apos;re super-excited to be reporting live from the event, so stay tuned for all the top Adobe MAX news. Don&apos;t forget to follow us on Twitter, Facebook and Instagram for the latest updates, and keep checking this page for all the latest news.